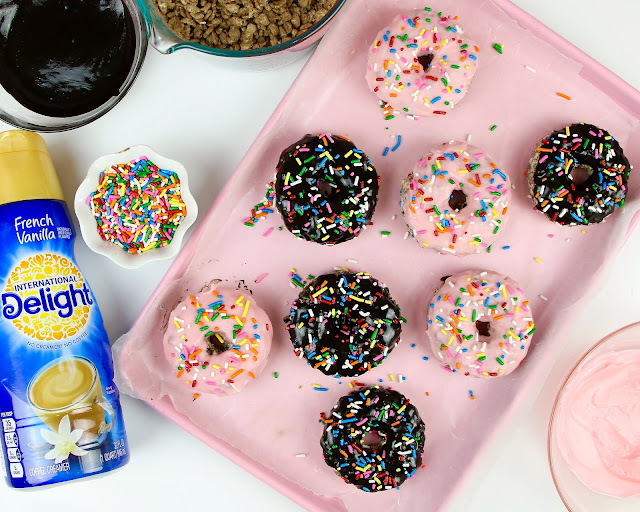 A super fun twist on a classic treat. 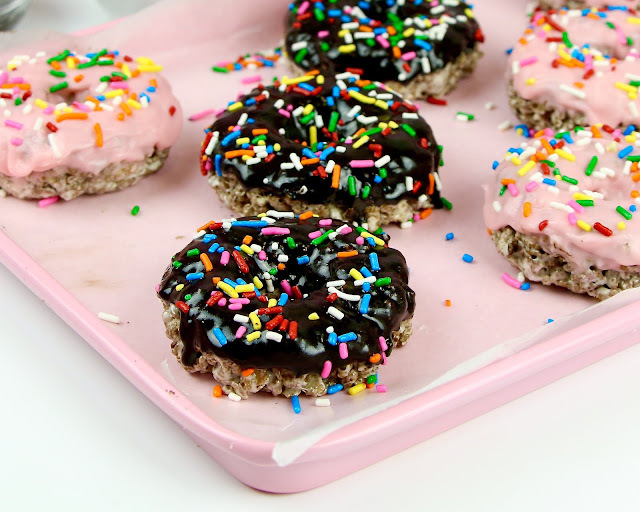 Rice Krispies Treats made to look like real Donuts! 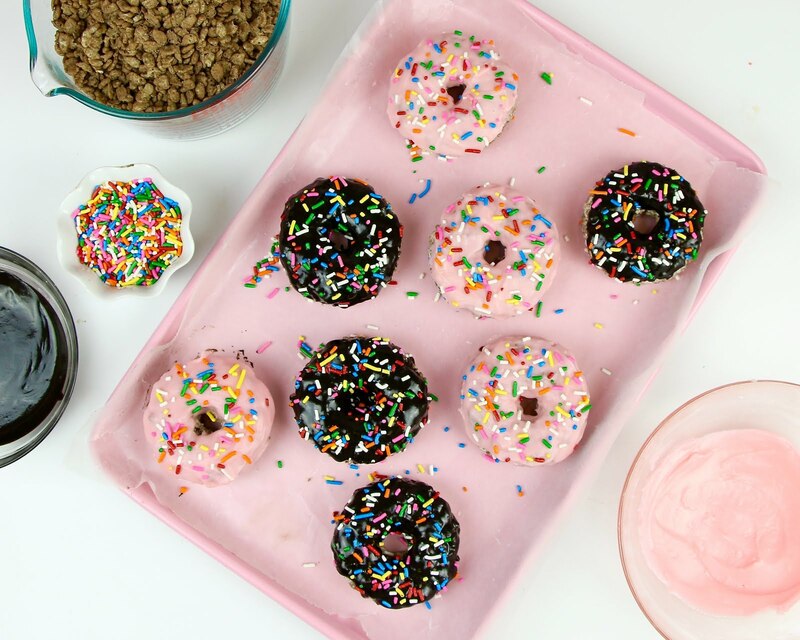 This easy, but totally fun dessert, that combines everyone's faves, into a fun little festive treat idea. 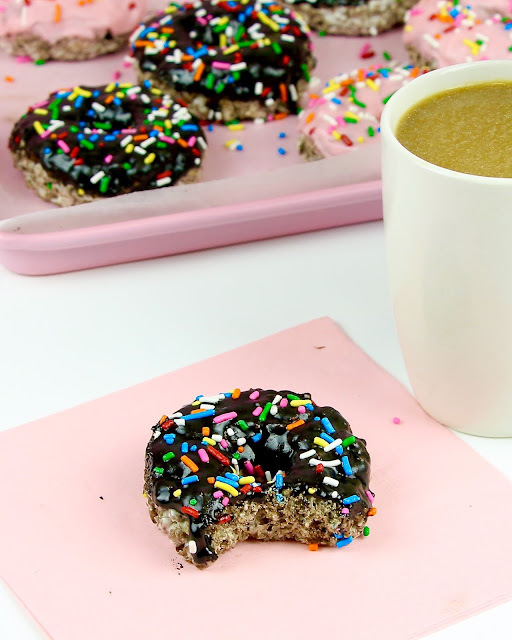 The soft chocolatey marshmallow treat is so perfect with the sweet candy glaze on top. I would choose these over a deep fried donut any day. I mean who isn't going to obsess over these chocolatey, marshmallow-ey rice krispies treats, disguised as little donuts, topped with french vanilla candy glaze and sprinkles?! 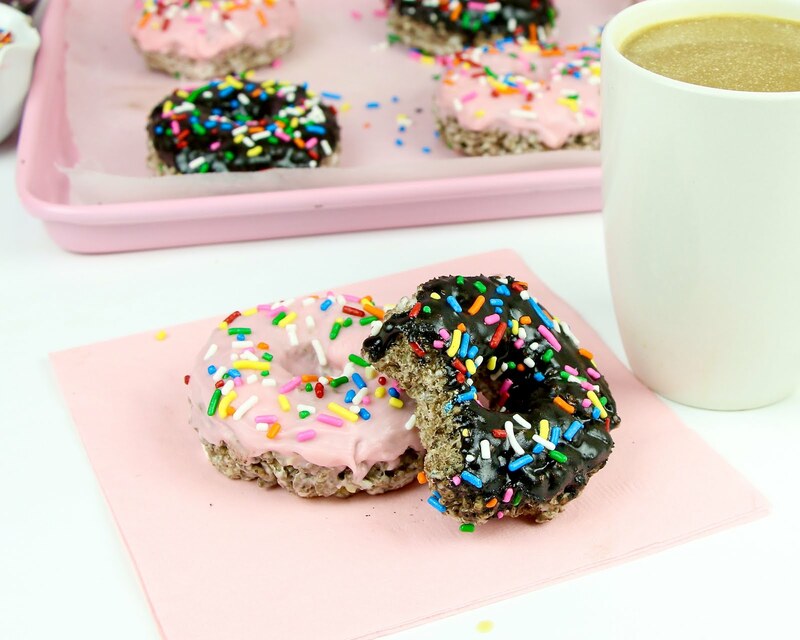 These start with a rice cereal treat donut and then we top it in a sweet candy glaze and sprinkles. 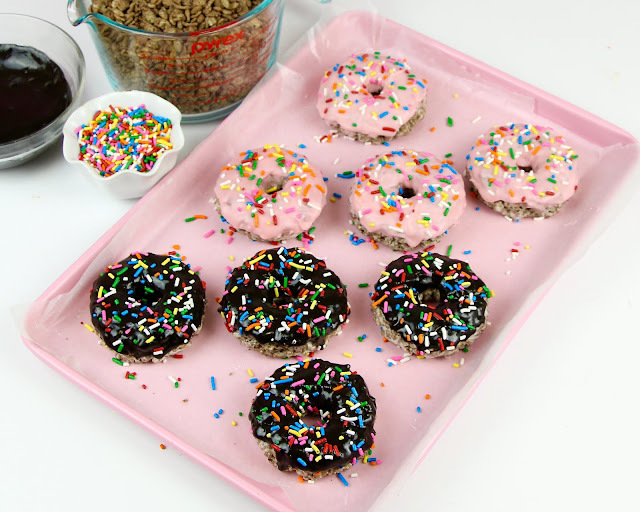 The best part is, you can totally customize these and and use fruity cereal or regular rice krispies for a classic version and make different shaped donuts. Get creative and come up with different flavors and colors, then, let everyone add their own toppings for a really fun, custom treat. 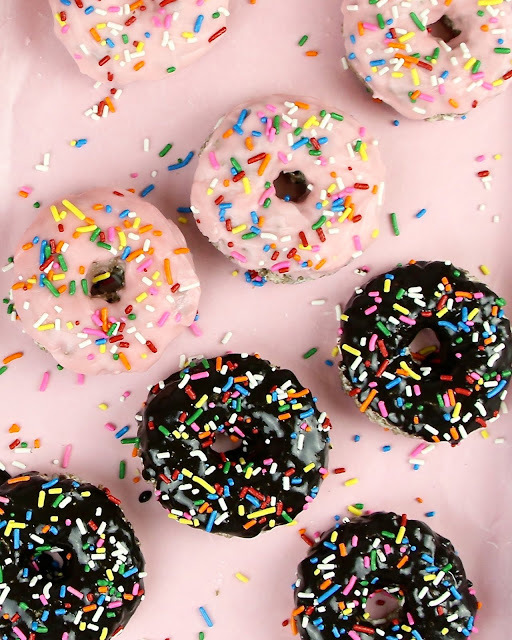 How cute did these turn out? They look just like a real donut! 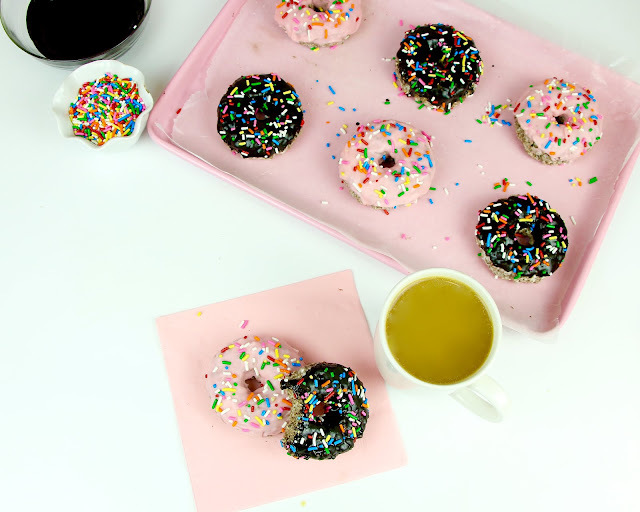 If you give this a try be sure to tag me in a picture on social media @lindsayannbakes, or share this with somebody who you know would love these cute little donut treats! Melt butter in a saucepan. Stir in marshmallows over low heat, until fully melted (Or do this in the microwave). Turn off heat and pour over cereal in a large bowl, mixing until cereal is well coated. Allow to cool slightly for a few minutes, until no longer hot to the touch. 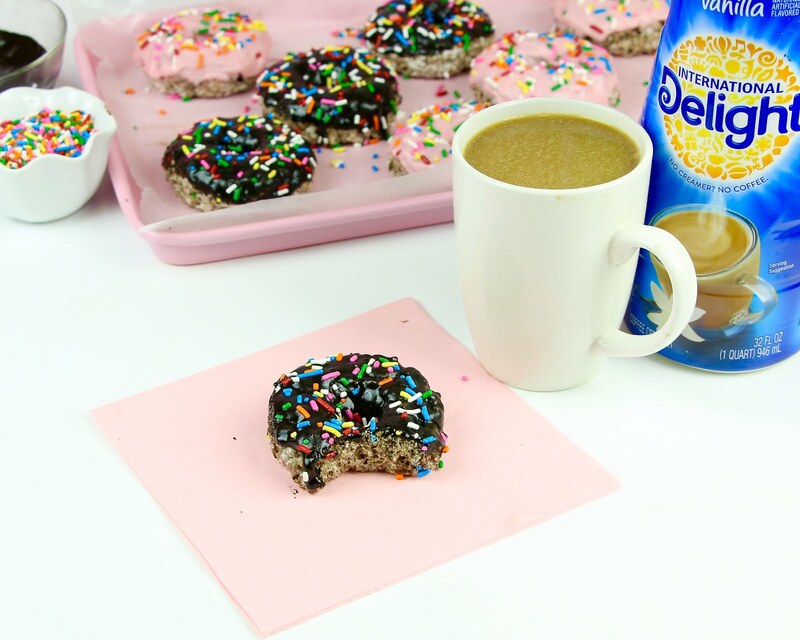 Use greased hands to press a handful of the cooled mixture into a circle cookie cutter. 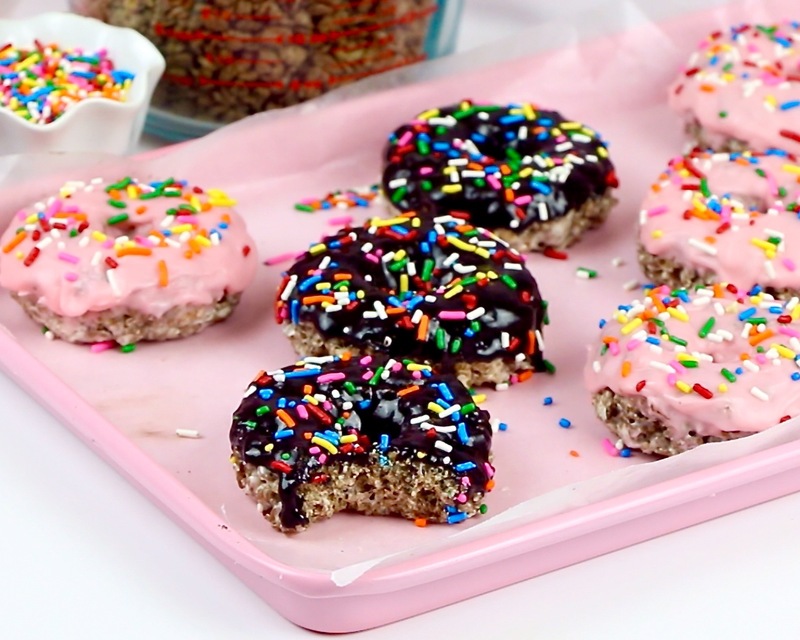 Press into a donut shape and use your finger to create a hole in the middle. Place on wax paper lined baking sheet to cool completely. Melt candy melts/or chocolate chips and creamer in a shallow bowl, stirring until smooth. 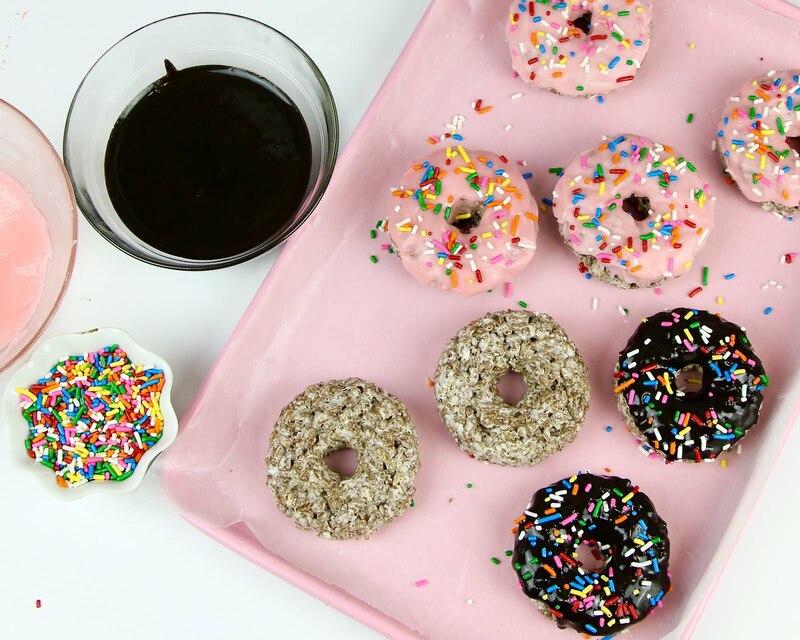 Dip each completely cooled "donut" in the glaze and top with sprinkles. If glaze starts to thicken you can microwave it for a few seconds to thin it out again.